Imperial Armor is a common Endurance item card. It is part of the Core Set. 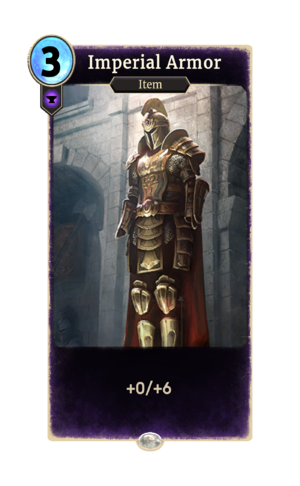 The card's art depicts armor in the Imperial style, as it appeared in ESO.